OK guys, so... I pulled my trunk apart a while ago, since IMA battery delete (and DC/DC changover to Meanwell). The less weight has been nice and the larger trunk, but the road noise was INSANE. I started building a trunk again, which has helped, but I noticed that on a long highway trip, the road noise was just far too much. Enough that I deemed earplugs necessary and my stereo just couldn't drown it out. Anywho, I applied a very small amount of deadener (less than 1 sq ft per) to the insides of my doors, outside skins, as well as some butyl rope. The results were greater than expected, making the "TV Static" like hiss noticeably lessened on the highyway (and in general). Total weight added per door was less than 3/4 of a pound (more weight in the butyl rope than the deadener panels!). I did the Sound Deadener Showdown method and spread the squares out (using NoiCo deadener from Amazon and Parts-Express butyl rope). I've also removed the factory deadener from the trunk (not worth it!) and applied the NoiCo throughout the entire trunk (basically no weight difference, just spread out better with higher quality material). Noise difference here was minimal, but didn't expect much. With that said, there's still plenty of noise to tackle! Anybody else have input? I've read plenty of threads, many of them 2014 and older, that state things they've tried and mostly had lack-luster results with. Hoping to hear somebody with some experience (and plenty of time to evaluate) chime in. Don't want to put any more money or weight in than I have to. (+) Deadener and Mylar on floor, doors, and trunk. (+) Weather stripping in doors and hatch to reduce wind noise. Last edited by NoD~; 04-15-2019 at 12:22 PM. -There's a TON of engine vibration and rumble that gets transmitted through the rear motor mount. If your mounts aren't as perfectly aligned as possible, you'll get more NVH than necessary. The rubber in the rear mount shouldn't be loaded at all at rest, such as at idle... (I did a DIY mod using microcellular urethane as the mount insert, not mainly for noise reduction but there was some noise reduction). Last edited by eq1; 04-12-2019 at 05:45 PM. 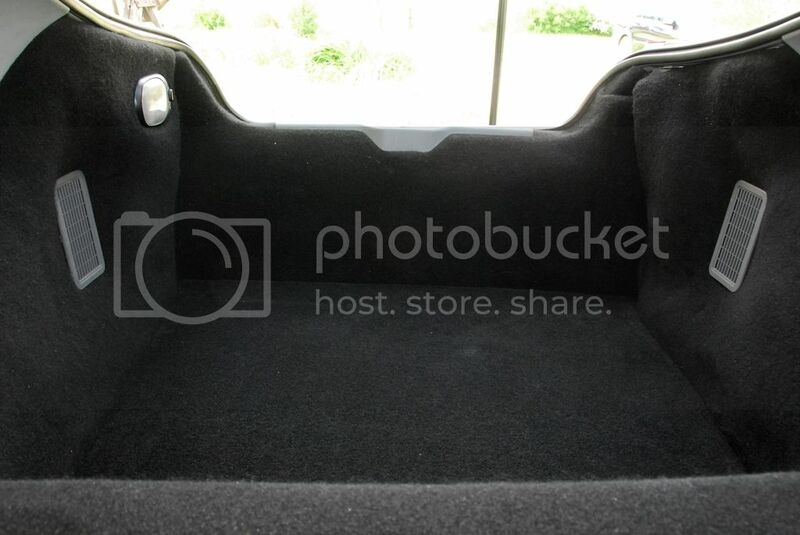 My situation is similar, the rear of my insight is empty, bare metal. There's no engine or exhaust noise any more so the tyre and wind noise is noticeably very loud. I want to line the back with something and re-carpet it, without adding too much weight. ^ Former IC member Julian Edgar did a thorough job revamping the rear hatch area (having removed the IMA). You should search for the thread he made about it, both of you... I think IC member 'Ecky' did, is doing, has done something similar, too. Last edited by eq1; 04-14-2019 at 07:47 PM. OK, going to continue updating the first post with links to what works, what doesn't, etc. Figured we'd make a "lord of the rings" thread about this (one post to rule them all). The Roxul Safe n Sound is something I use all over the place for insulation or sound absorption, so I'm definitely going to pack some of that in the cavities of the car! One thing I'm trying to do with my trunk is keep all the floors/walls "floating" to create a 2nd leaf. After having built my recording studio, I found that having 2 layers between you and the source of a noise is insanely good at reducing/eliminating it. The down side is, the lower frequencies require more weight, so with my light-weight goals, it won't be perfect. I think i'll be happy if I can rid of most of the high and some of the midrange noise, though. Gotta try to find weather stripping that works. The link to "Big D and Small D" stripping on Amazon is no longer available, so hopefully will find an alternative. Then, hopefully, back to getting my trunk done. It has an overall L-shape made up of a d-shape section + a double box-shaped channel section. The "L" would basically fit around the door edge - with the d-shape against the jamb and the box channel filling the door/panel gap. Hard to explain. From what I read, Ecky said that 5/16" (0.31") was not enough for a single layer to seal his door. The link you posted only shows 0.20" height. Seems we'd need about 0.50" to make it all work? Even the large D stuff I bought (can't remember the exact height)* doesn't quite fill gap between door edge and jamb, particularly at the bottom curve of the door. That gap is pretty sloppy/large on my car, not sure if it's like that with all Insights, though. *13mm tall (about 1/2 inch), 11mm wide. Last edited by eq1; 04-15-2019 at 05:24 PM. I'll have to do some measuring and playing around with different ideas to find the perfect "One seal to rule them all" as I really don't want to have to stack seals to make it work, if possible.